The Pentland Firth is the strait that runs between Orkney and the north coast of Scotland (An Caol Arcach, Scottish Gaelic, meaning the Orcadian Strait ). 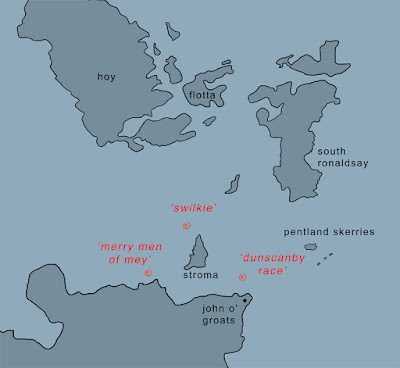 The strait was named 'The Sea of Orcs' making reference to a Pictish tribe who once inhabited Orkney. After Norse occupation it was named Petlandsfjörð, from the old Norse meaning 'the fjord of Pictland'. It is a treacherous piece very 'confused' sea, with one of the most powerful tidal currents in the world. Tidal currents of up 16 knots and waves several metres high have been recorded. The drawing above is one of a series of tidal 'map-drawings' inspired by the movements of the turbulent waters of the Pentland Firth and using information from tidal charts. 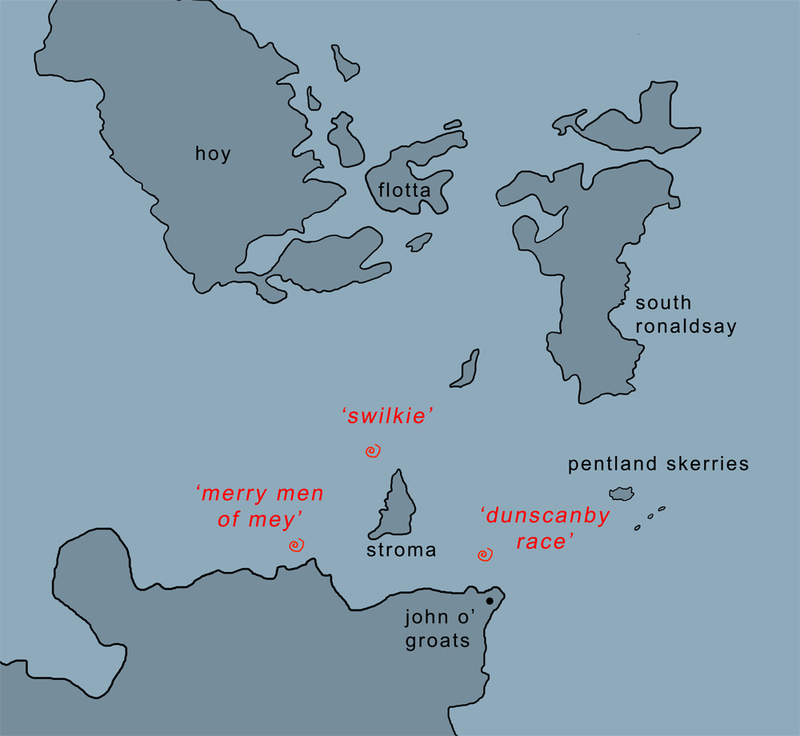 Areas where the tidal races are particularly evident have names such as 'The Merry Men of May', 'The Duncansby Race’ and 'The Swilkie' . 'The Swilkie’ ( off Swilkie Point to the North of Stroma) features in Viking legends. It is a particularly violent race with numerous whirlpools. The name comes from the Old Norse, Svalga meaning ‘the swallower’. It was believed that the whirlpool was created by a sea witch who used it to turn the wheels of her mill that ground salt to keep the seas salty. The strong currents make the Pentland Firth potentially one of the best sites in the world for harnessing tidal power. In his book /blog 'Minmouth' Alec Finlay makes reference to the mytho-poetics of the quernstone as a symbol of the potential for marine energy and how Norse and Norn place-names are an ancient guide to tidal power. 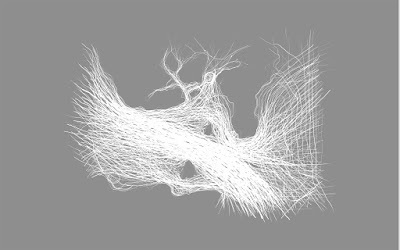 'the fjord of Pictland' is a collection of ongoing work featuring map-drawings and texts inspired by conversations with Alec Finlay about his projects relating to marine renewable ‘Energy Landscapes’. The Pentland Firth features in his book and blog, 'Minmouth'.